Find more customers and generate more revenue with your website. 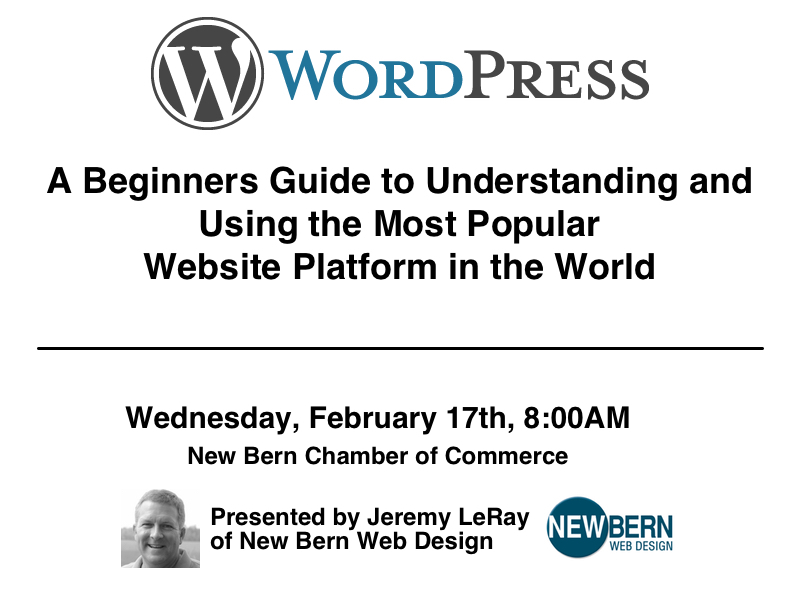 Join us next Wednesday, Feb. 17th for an introduction to WordPress. If you already have a WordPress site and want to learn more about how it works OR if you are thinking about using WordPress for your next web project, join us for a fun filled, enjoyable seminar.